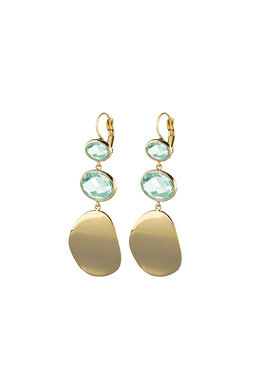 Elegant drop earrings in a polished gold toned finish with two aqua-coloured oval-shaped facet cut crystals and large metal pendant. 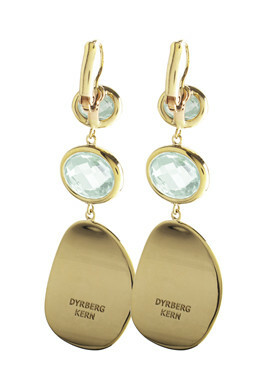 These earrings will work perfect for your daily outfit as well as for your evening look. With a french hook closure.